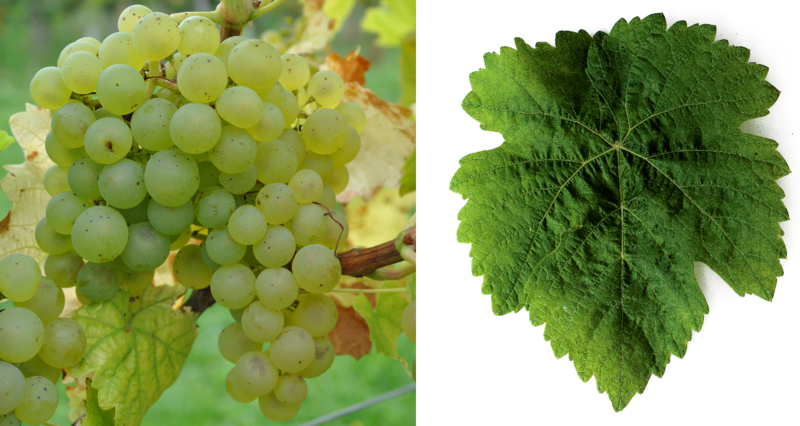 The white grape is a cross between Sylvaner x Trollinger ( Schiava Grossa ), which was released in 2007 DNA analysis was confirmed. Synonyms are Bocksbeutel, Bocksbeutelrebe, Bouquet Blanc, Bouquettraube, Boxer, Buket, Bukettraube, Bukettriesling, Englerthrebe, Sylvaner Musque and Würzburger. The variety may not be with the Austrian new breed Buketta be confused. The crossing took place in 1864 by the owner of the winery and wine pioneer Sebastian Englerth (1804-1880) in Randersacker (Franconia). The variety was crossing partner in the new breeds Bouquetsylvaner. early Muscat (Oberlin's Nutmeg), Madeleine Angevine Oberlin. striking. Rose Muscat and Scheurebe (Seedling 88). The medium-maturing, high-yielding vine is prone to real mildew, It produces acidic white wines with subtle nutmeg, In Germany The variety is barely represented and does not appear in the statistics. In Randersacker, the hometown of Englerth, there is a stock in the museum vineyard "Altfränkischer Wengert". At the winery Castle Sommerhausen (Franconia), however, a revival of the vine is attempted. Small acreage should also be in the French Alsace under the name Bouquettraube. In 2010 were in South Africa under the name Bukettraube 71 hectares of vineyard reported (Statistics Kym Anderson ). Whether it is the same vine is not guaranteed. This page was last modified at 13 November 2018 at 08:18.